This guide expound about the working of software and how tool works on corrupted OST files, repair its data and shows up offline OST file. To make this tutorial more interactive, we have also depicted the working screenshots of software which demonstrates step-by-step processing of software. a.) Type OST Viewer in Windows search box and the machine will sort the application for you. b.) Or, follow this one: Start >> All Programs >> OST Viewer and hit on the icon. 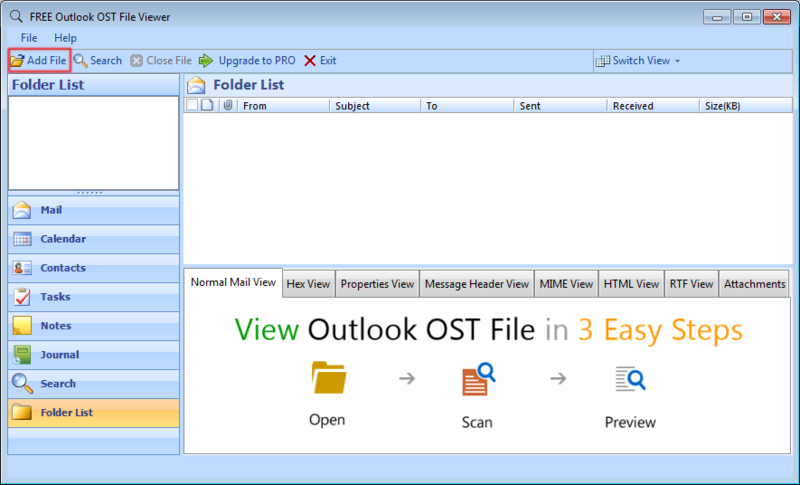 In order to add an OST file and to move ahead the processing, you have to click on the "Add file" button. Now, Browse button will let you choose the OST file. 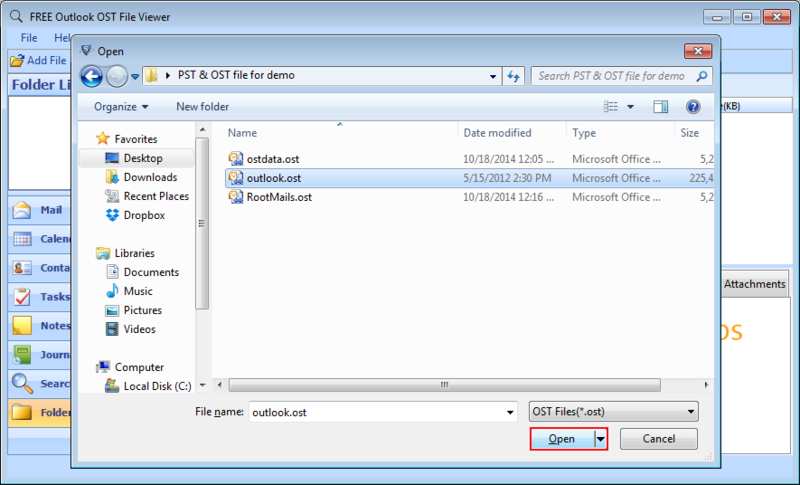 Make sure about the offline OST file which you are going to select and once you selected it, then click on Open. Quick Mode: Choose this mode, if the OST file is less vulnerable. Advanced Mode: Select this option, if OST file heads up you about unfaltering or severe issues and needs to parse through an advance scanning. If you made sure about the mode of scanning, then move ahead by clicking on the Add File button. 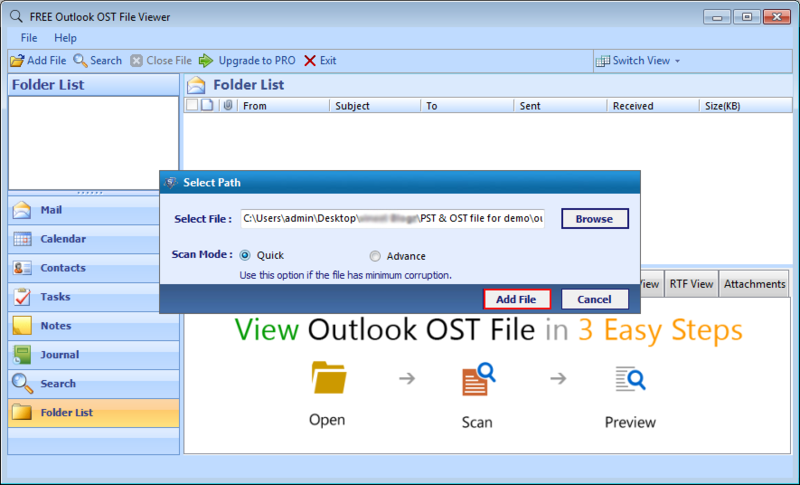 Once you hit Add File button, tool begin the scanning of OST file. 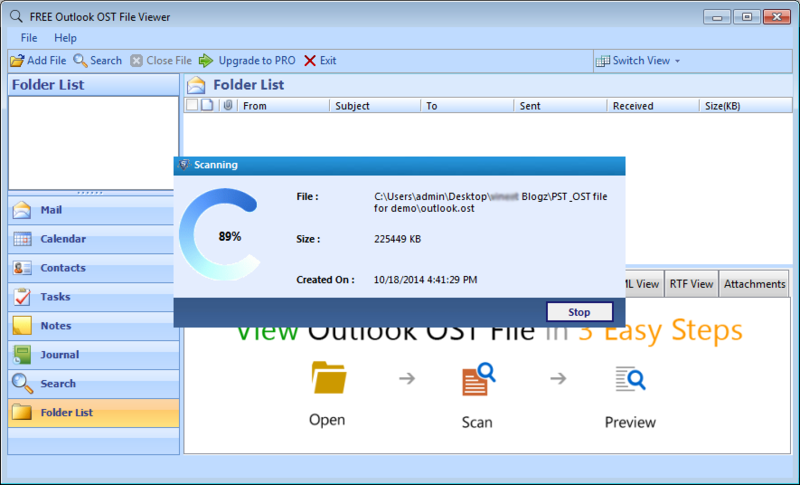 Tool starts loading all the processed data onto the software GUI. 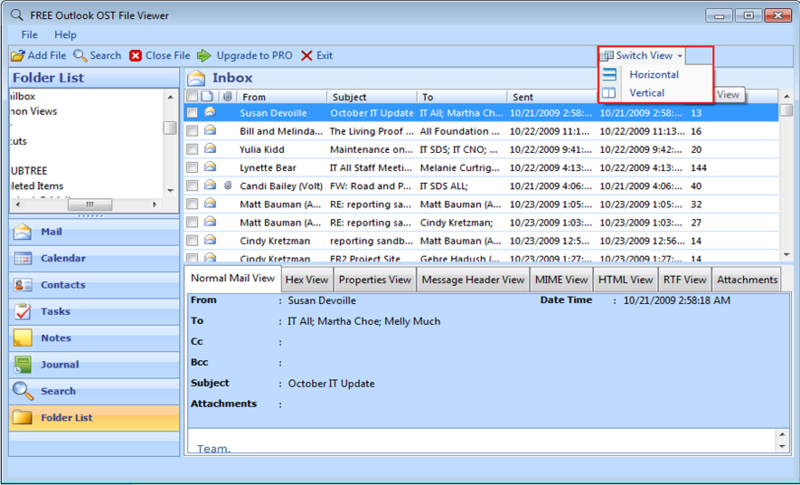 Anyone can start digging out the emails which have been processed via a scanning and recovery step. There are also two different customizable modes to view restored OST data: Vertical and Horizontal View. 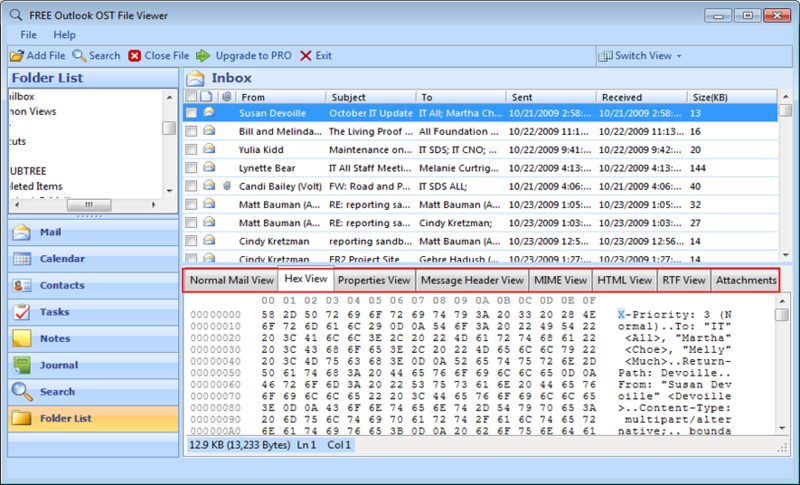 To perceive emails more profoundly, this software comes with different view options such as Hex, RTF, Messaged Header, Properties, MIME view, Normal Mail View, etc. which unfolds the most lurking details of data whatsoever they contain. 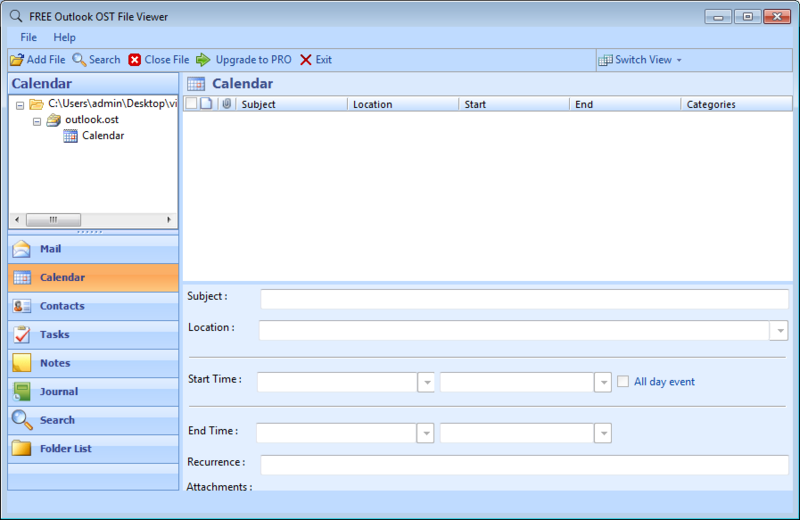 By using OST Viewer, you are also entitled to view other segments of OST files: Contacts, Calendars, Task, Journal, Etc. © 2017-2019 FreeOSTViewer | All right are reserved.